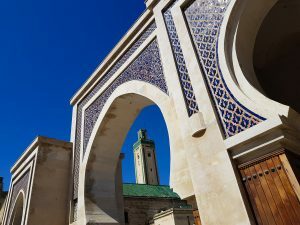 Fez, Morocco—home to the world’s oldest university, the medieval capital of the Marinid Kingdom—is still the country’s cultural and spiritual center. Crumbling fountains and palaces, busy mosques, bakeries, and souks compete for attention as you navigate the narrow streets. Donkeys make their rounds with trash collectors and mules hustle massive loads—crates of bottles, appliances in cardboard boxes, a mattress or sewing machine for delivery. The scent of honey, dust, leather dyes, orange blossoms and humanity swirls along streets that all seem to slant up, up and up. It’s just a few steps from modern Morocco and its bars, restaurants, and nightspots, into the Fez medina, and a different world. Just inside the medina’s lower entrance, not far from a little plaza called Oued Chorfa, a very special home awaits your arrival. 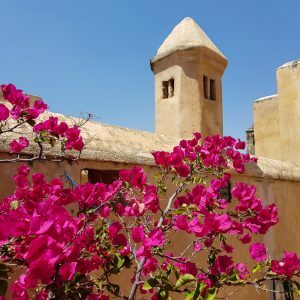 Dar Borj Dahab is our holiday home, and it can be yours, too. Ideal for a personal sabbatical or creative retreat, the house is available for stays of one week to several months. Book your stay with us for a week, a month, or more, on AirBnB or on TripAdvisor, and explore the Fez medina from the inside. 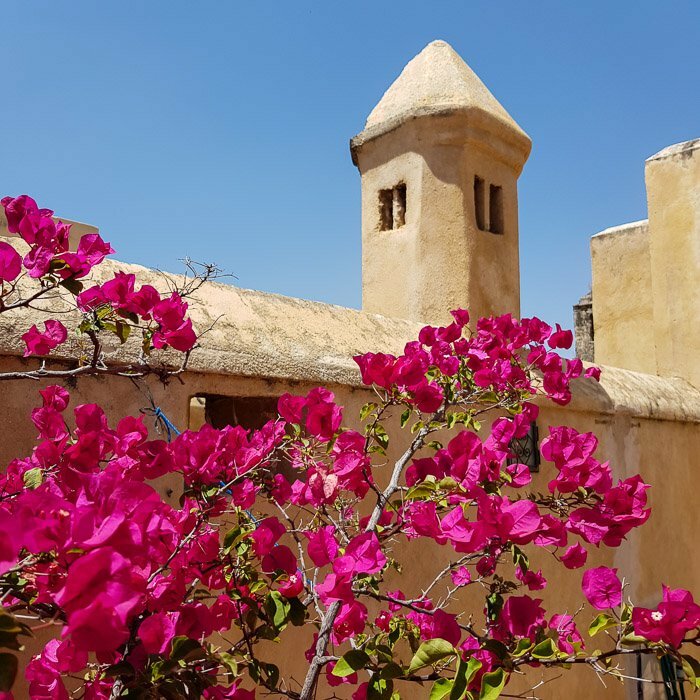 Dar Borj Dahab is a beautifully restored guest house. Now a gem of a house with rooms on four floors, the dar was once part of the larger house next door. 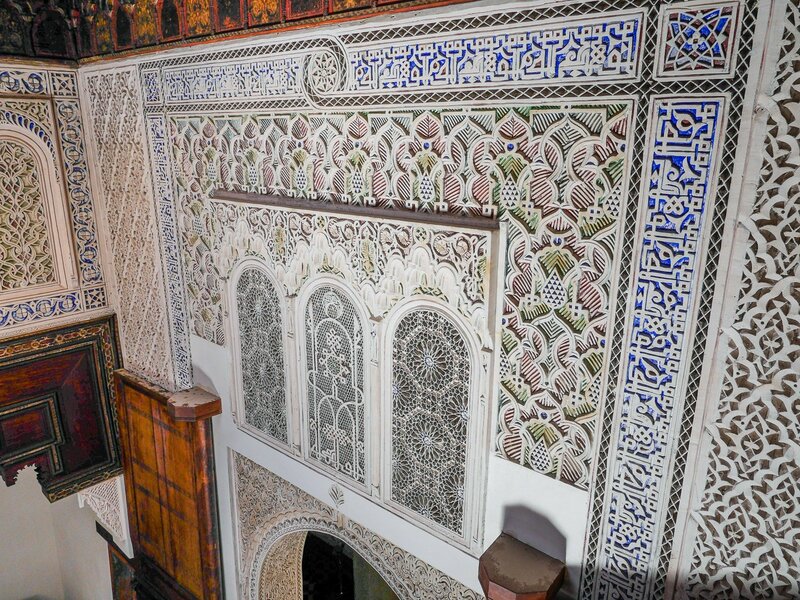 The main salon, located on the first floor, is a cultural masterwork, a traditional Moroccan salon. The salon features intricate original plasterwork, made-to-order furnishings and plenty of natural light. An octagonal halka in the main salon is open to the sky. A bath with shower and two smaller salons–a bedroom suitable for a single person or couple and a reading salon with a desk–complete the ensemble. Up another level, an encircling mezzanine balcony overlooks the main salon below. This level also features a half-bath and two sleeping lofts accommodating one person each in twin beds. The dar’s rooftop terrace is where we enjoy a Moroccan breakfast or watch medina lights twinkle on as dusk deepens. After a busy day in the medina or a day trip outside Fez, this private space paved with terracotta tiles is the perfect place to relax. A small rooftop kitchen with a cooktop, fridge and laundry facilities is a step-saver. Down four flights of steps, a full kitchen on the ground floor combines with a queen-bedded sleeping nook with ensuite bath, and a living/dining space accommodating one person or a couple.